The problem of necessity remains one of the central issues in modern philosophy. 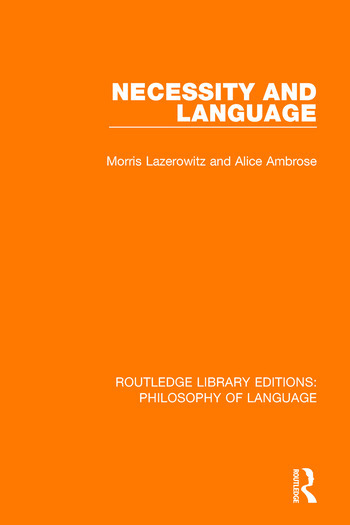 The authors of this volume, originally published in 1985, developed a new approach to the problem, which focusses on the logical grammar of necessary propositions. This volume gathers their seminal essays on the problem of necessity, together with new material at the original time publication.